This is how I begin my class on faith for catechumens. No problem. That’s what is on the label after all. When I ask if there is any doubt about it, the answer is always given as “No.” And the class is pretty unanimous about it. Until I tell them that the label from this can was actually removed, and the current label was taped on. I even show them the piece of tape on the seam. Often the class is now silent. Some of them look around and will notice that there are several other cans, of several other products in sight somewhere in the room. 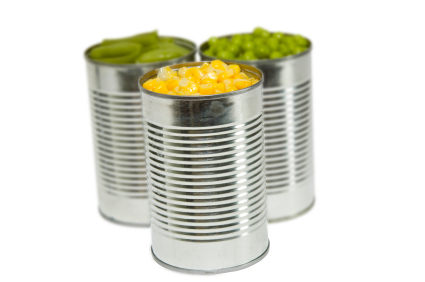 After all, most canned food is marketed in the same sized can! Invariably, no one raises their hand, or even speaks up. “Don’t you know what’s in this can?” I ask. I see the faces of catechumens now trying to figure out what answer I want them to give. 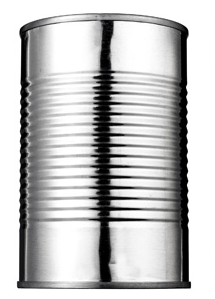 You see, the class was sure when I showed them the can. They had faith. Faith in a multitude of things. 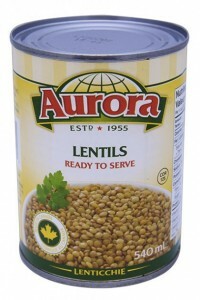 Faith in the cannery, that they actually put lentils in the can and labelled it properly. Faith in the distributor that delivered the properly labelled lentils to the store, and that the farmers know what lentils actually are. Faith in the retailer that they deal with a distribution company that only uses reputable canneries. And faith in me, that I would not lie to them about what was in the can. All it took, however, for me to shake that faith was introduce one little doubt. Just one piece of evidence which they did not anticipate. I placed a doubt in their minds, and no one wants to look stupid. After that, no one would say whether or not there were lentils in the can. Not even if I, a priest of God, give my word on it. Everyone has faith – that is not in question. When we go to the store, with every product we see, every service we see advertised, we have faith. We actually have a lot of faith in each other, even when we don’t trust each other. For example, just because I don’t trust someone doesn’t mean I have no faith in them. I’m pretty sure that I can safely have faith in the fact that they will not murder me with an axe, for example. My faith, like yours, is based on reason. Yes! But it is not a blind faith, rather a reasonable faith. A faith based on reason. Just because I cannot see inside a can at the grocery store doesn’t mean I can’t have faith that it is labelled properly, and even if I got one can that was mislabeled, it isn’t going to prevent me from ever buying canned food again. 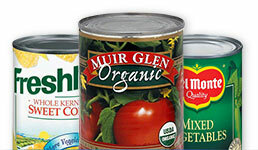 I have faith in canned food products! So do you. My faith is based on my past experience of them, just as yours is. You have a reasonable faith, in a multitude of things you cannot see and mostly cannot know – and you are right to have that faith. It is accurate to have that faith. The Church, the pillar and foundation of the Truth (1 Timothy 3:15), according to St. Paul, gives us the reality of God – the revelation of Jesus Christ. The Apostles and Evangelists spread the news throughout the world, by word, in print and by their holy works. The martyrs likewise witnessed to the same reality, preferring death in the flesh to changing even a single letter of this Truth in Christ. The Fathers and saints and bishops right up to this day, to this moment, continue to write and preach and teach to anyone who will hear this same unadulterated, unpolluted Truth in Jesus Christ. Multitudes of miracles accompany believers and have since the time of the prophets. Multitudes write and speak and preach anywhere and everywhere they can about it. This is a great cloud of witnesses. This is the Church you can have faith in. It’s not about numbers. It’s about faith, and everyone, even the most ardent secularist or most determined atheist, has faith. Everyone has faith. Don’t exchange a reasonable faith for a blind doubt.